In a period of economic boom, nations rarely come under pressure from their citizens. Businesses thrive as there is enough liquidity in the system. Personal finances get a boost and there is less social and economic tensions. Nigeria has gone through that phase under General Yakubu Gowon in the early 70s when he declared that Nigeria’s problem was not how to get funds but how to spend it. But since then, things have progressively deteriorated, and the equation has changed. Nigeria’s problem, especially in the last decade, has been how to make more money so that there will be revenue to finance the budget. In the 56- year history of Nigeria, there has never been a time when the country has been so direly challenged economically as now. In 2015, the President Muhammadu Buhari administration inherited a budget deficit of nearly one trillion Naira. One year after, in 2016, the deficit had increased to N2.2 trillion largely as a result of a crash in the international price of crude oil-Nigeria’s main revenue earner. This is coupled with an abysmal low production of crude for export, due to renewed militancy in the Niger Delta. The Buhari administration campaigned and won election on the promise of change. One of the areas of change Nigerians had high expectations was the economy, which was on very weak legs when the administration came into power. Thus, Nigerians rightly looked up to the government’s economic team and the Central Bank of Nigeria, CBN, in particular, for the magic wand that will turn things around for the better. If there is any institution of government that has felt the heat most in the last two years of the Buhari administration, it is unarguably the CBN. Whether it is exchange rate, inflation or a depleting foreign reserve, the CBN found itself in the arena as everyone, including economists and financial experts, called on it to halt the drift. It was asked to perform, in a manner of speaking, miracles to rejuvenate an economy in coma. Apart from the quick and effective monetary policy interventions, which has stabilised the value of the Naira and contributed to the country’s gradual exit from recession, one area the CBN has concentrated attention and resources is agriculture. Even though Nigeria has comparative advantage in food production in Africa, farming has remained largely at subsistence level. Nigerian farmers are poor and can’t afford modern farming tools. They are also largely uneducated about modern trends in agriculture. 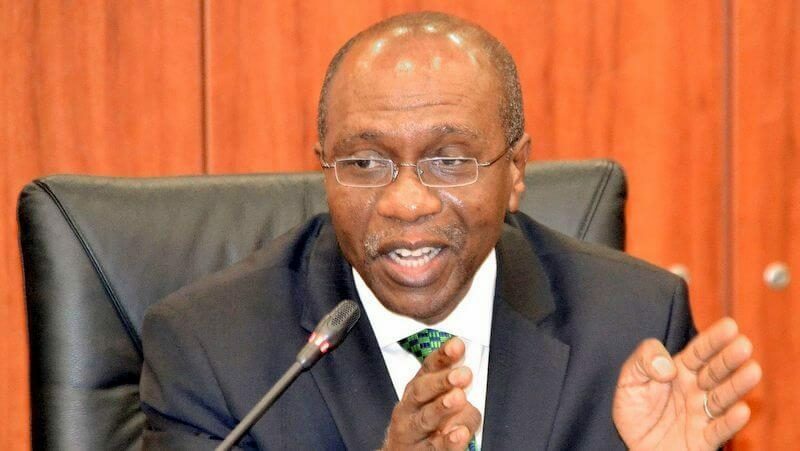 This is why, according to Godwin Emefiele, the Governor of CBN, Nigeria has continued to spend the bulk of its foreign reserve on importation of food items such as rice, wheat, milk and fish, among others. Emefiele expressed concerned about spending huge foreign exchange on items Nigeria could produce locally and even export to earn more foreign reserve. According to him, the allocation of foreign exchange to the importation of these items had contributed greatly to the depletion of the nation’s foreign reserves, especially in the face of low oil revenue resulting from falling oil prices. Nigeria spends a whopping N1 trillion annually on food items it can produce-a bill that is clearly unsustainable in the situation the country has found itself. The rising unemployment and escalating food imports prompted the CBN to shift from concentrating only on price, monetary, and financial system stability to act as a financial catalyst in specific sectors of the economy particularly agriculture, in an effort to create jobs on a mass scale, improve local food production, and conserve scarce foreign reserves. The CBN established the Anchor Borrowers’ Programme (ABP), launched by President Buhari on November 17, 2015 to create a linkage between anchor companies involved in food processing and small holder farmers of the required agricultural commodities. The scheme provides farm inputs in kind and cash (for farm labour) to small holder farmers to boost production of these commodities and stabilize inputs supply to agro- processors. The objective of the programme is to ensure food security, encourage import substitution, increase the income of farmers, fight poverty and conserve foreign exchange for the country. This would certainly help address the country’s negative balance of payments on food. Over the years, the importation of rice had become one of the major factors that affect Nigeria’s economy. The country spends about $5 million on the importation of rice on a daily basis. This is why the anchor borrowers’ scheme has started with rice and wheat, two food items that consume the country’s foreign exchange reserve. Under the scheme, the CBN has so far invested about N33 billion in 21 states with Kebbi, Cross River, Kano, Jigawa and Anambra, Ogun, Niger, Benue, and Kaduna states taking the lead. The investment has yielded an output of 2.1 million metric tons of rice and over 450,000 metric tons of wheat in addition to provision of over one million direct and indirect rural jobs. It has also led to significant improvements in fish, tomatoes, sorghum, cassava and maize yields. Official figures put Nigeria’s rice need at slightly over six million metric tons. The CBN Anchor Borrowers Programme to farmers has increased the national output from two million to over four million tons, while the yield per hectare has increased from less than two tons per hectare to 6.5 to 7 tons per hectare. By 2018, the CBN projects that Nigeria should be able to meet its rice need. With what is on ground in many of these states, it is certainly not an exaggeration to say that Nigerian farmers have never had the attention and support of government the way they are having it now. The loan is targeted at smallholder farmers engaged in the production of rice, wheat and other identified commodities across the country. For ease of administration, they are encouraged to form groups or cooperatives of between 5 and 20. The loan is provided from the N220 billion Micro, Small and Medium Enterprises Development Fund, and disbursed through participating banks after some simple processes involving different stakeholders. Nothing shows the gain of this initiative better than the foreign reserve figures, which has been on the rise since the last quarter of 2016. In September 2016, Nigeria’s reserve was $24.74 billion. But it rose to $27.2 billion in May this year. And still looking up.